How to watch The Returned: Season 1 (2015) on Netflix Germany! Sorry, The Returned: Season 1 is not available on German Netflix, but you can unlock it right now in Germany and start watching! With a few simple steps you can change your Netflix region to a country like Argentina and start watching Argentine Netflix, which includes The Returned: Season 1. 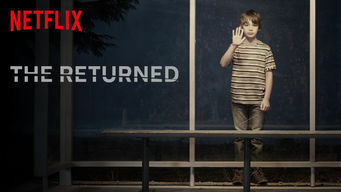 We'll keep checking Netflix Germany for The Returned: Season 1, and this page will be updated with any changes. 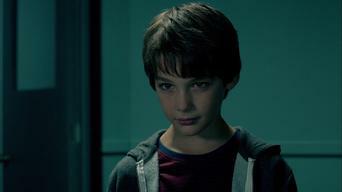 The Returned: Season 1 is not available in Germany BUT it can be unlocked and viewed! Several people come back to their home town in the same week after they've been dead for years in this eerie dramatic series. When you've been dead for some years, showing up in your hometown alive and well can be really disturbing for everyone. 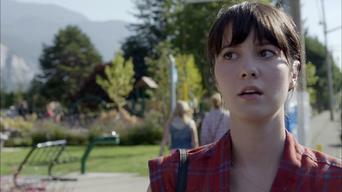 Season 1 of The Returned has 10 episodes. Because different Netflix countries have different availability for episodes, you'll need to check the episode listing below to see which are available in Germany. Teenager Camille makes her way home after she wakes up in the mountains above her town and discovers things have inexplicably changed. Rowan wants to move ahead with her plans despite seeing Simon. Julie tries to learn more about Victor. Camille can't handle the shifts in her family. Julie has a terrible reminder of the past. 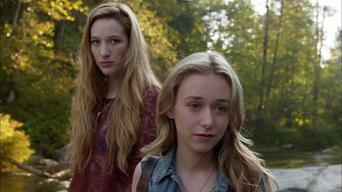 Camille's sibling rivalry with Lena worsens. Tommy tries to keep Simon away from Rowan. The messy reality of restored lives sinks in as Lena blames Camille for her illness, Rowan grows close to Simon and Victor deeply troubles Julie. Tony reveals a secret that impacts Adam as Julie and Nikki search for a missing Victor, and Helen believes that the town itself is evil. 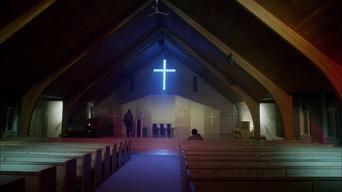 Lucy recovers from her stabbing but finds that she has changed, Peter confesses a disturbing secret to Victor, and Jack and Claire search for Lena. Rowan unloads her feelings on Simon, Victor drives a wedge between Julie and Nikki, and Camille tries to help the support group parents. Claire's secret is exposed, Camille's desire to help leads to terrible unintended consequences, and police apprehend the suspected killer. Helen commences her lethal plan for the town, Peter makes a surprising announcement, and Chloe faces danger from an unexpected source. Helen's dire plan is mysteriously thwarted, Camille accepts that she will never be the same, and a strange premonition marks Rowan and Tommy's big day.